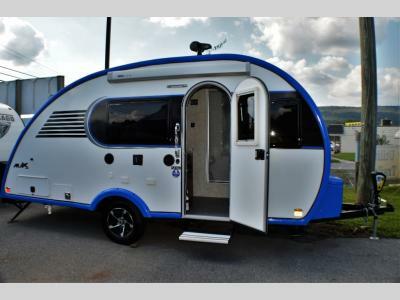 You are going to love camping with this Little Guy MAX teardrop trailer by Liberty Outdoors! 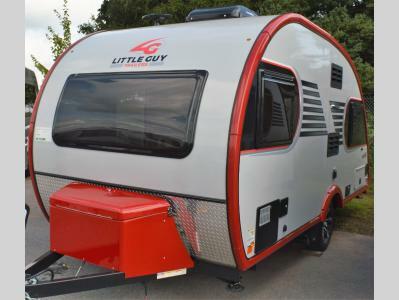 This unit is ultra light in weight making it easy to tow, and it provides everything you need to enjoy being on the go! Storage is not an issue with this model. 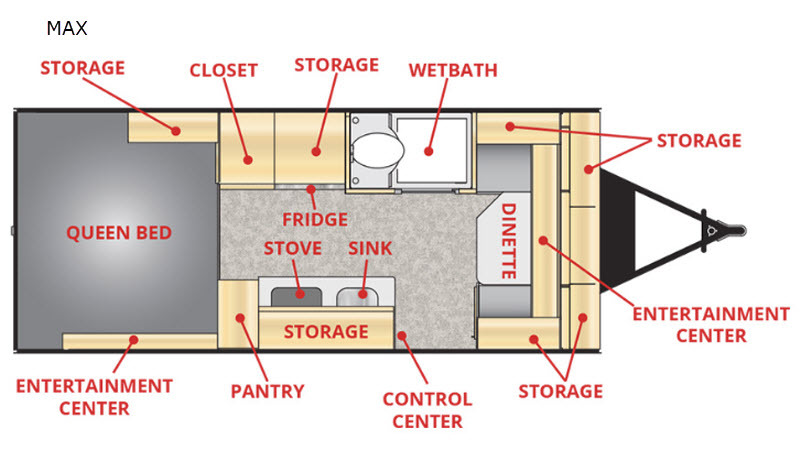 The booth dinette has integrated storage throughout, and you can even convert the dinette into a single bed at night. 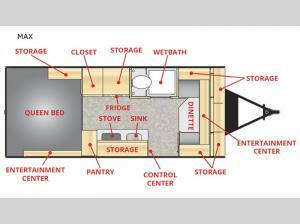 More sleeping space can be found at the rear queen bed. With the 24" TV, you can relax in bed while watching your favorite programs, and the second 24" TV towards the front will allow others to watch something else. The kitchen has a floor-to-ceiling pantry, and throughout this model you will find cubby storage, as well as a full-length garment closet and shelves.